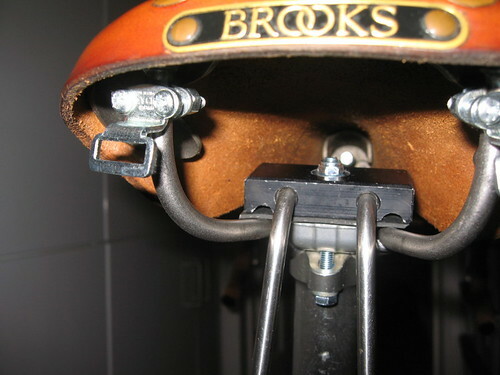 Initial reason for bodge: Not enough exposed rail on saddle (Swift) to clamp bagman to - even though it is fitted in the most rearward position. Seatpost is a Thompson Elite which, even with a smaller clamp than the previous one that was fitted, I still couldn't get enough purchase on the rails. Now, should I mention the Carradice stamp being out of alignment to Sue? Considering it's brand new....or does it just add character? Oh c'mon its what makes it yours ......these are not tins of chinese beans. my super c barley's saddle strap holes are cut out about half an inch off centre, which makes the bag sit an inch to the right. first i was annoyed, but just couldn't be asked to return it.. good bag, but used it only twice since new as it's too big for my needs. I just use a Tortec Ultralite rack to keep my saddlebag in place rather than messing around with Carradice's support systems. While it might appear to be a sledgehammer to crack a nut, it actually weighs less than a standard bagman while giving more carrying options + a good place to put a light. It also costs half as much. I started with a Tortec Ultralite for the reason you state, but didn't like how high above the rear wheel it sat. Being short in the leg I do not have much seatpost showing and thought the rack was too high for a top pack to be used, as I'd plan to buy at the time. 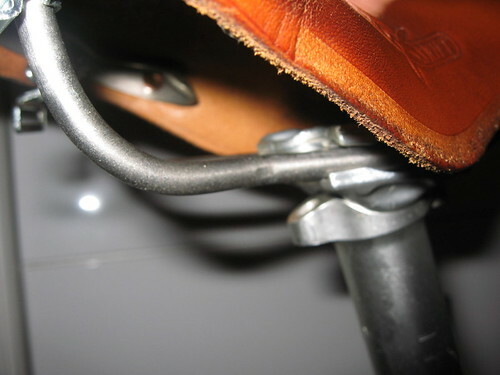 Does the seatpin use 2 bolts to secure the saddle (one front, one rear)? 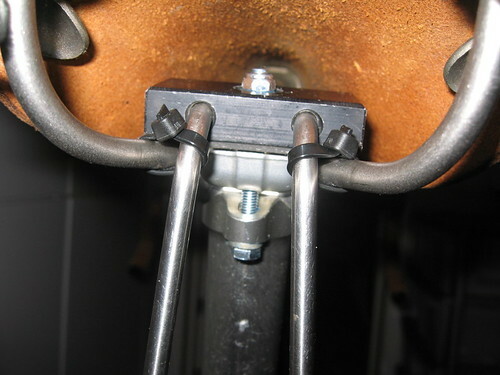 Is that the reason for there being too little useable saddle rail to connect the bagman? It looks like a decent fettle, but (for me) it negates the point of the bagman - the quick release. I suppose it still keeps the bag in a decent position, but I think there are other gadgets to do that which wouldn't (possibly) compromise the saddle/seatpin junction. 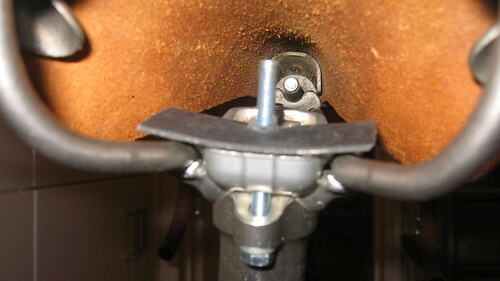 If the problem is the 2 bolt seatpin, my inclination would be to change the pin, and keep the benefit of the quick release. 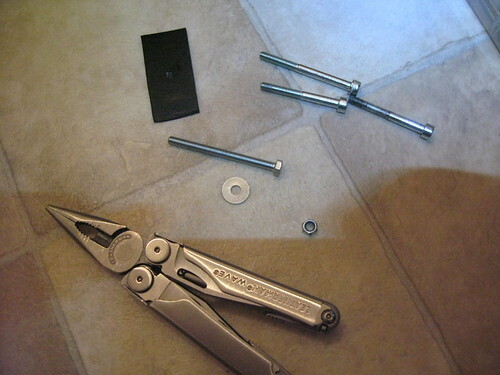 I think it adds character, but if it bothers you, tighten up one of the zip ties and relax the other. Hi Paul. The Bagman is not the QR type and stays put. That's the third seatpin I have had and still no more rail available...I don't think all had the double bolt setup either. I was trying to avoid shelling out for another post to try. Is that a swift or a 15? 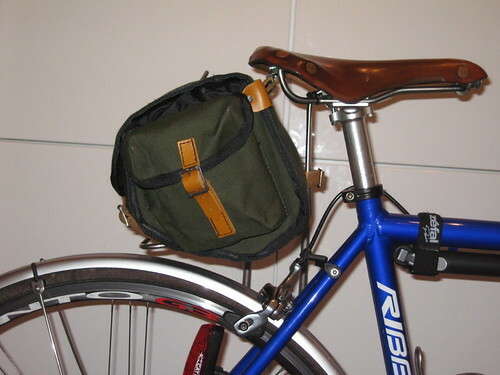 Re the images, the saddle bag loops on the seat rails seem to be after market additions. is this the case? if so, where can I get some. 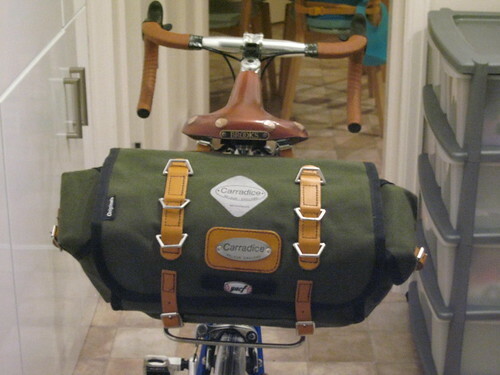 I have a loop less Team Pro and want to get a Carradice saddle bag of some description. Cyclo loops are what you need. I am sure you'll get them on Ebay. I scored a bunch of these from ebay ages ago for next to nowt, still in their little plastic bags on the shop display card. If you want some, PM me your details and I'll bung a pair in the post. 'Tis an excellent bodge btw.